The NYU Langone Medical Center’s Rusk Rehabilitation facility is embarking on a new clinical trial testing the effect of a mobile app on cardiac rehabilitation beyond three months. 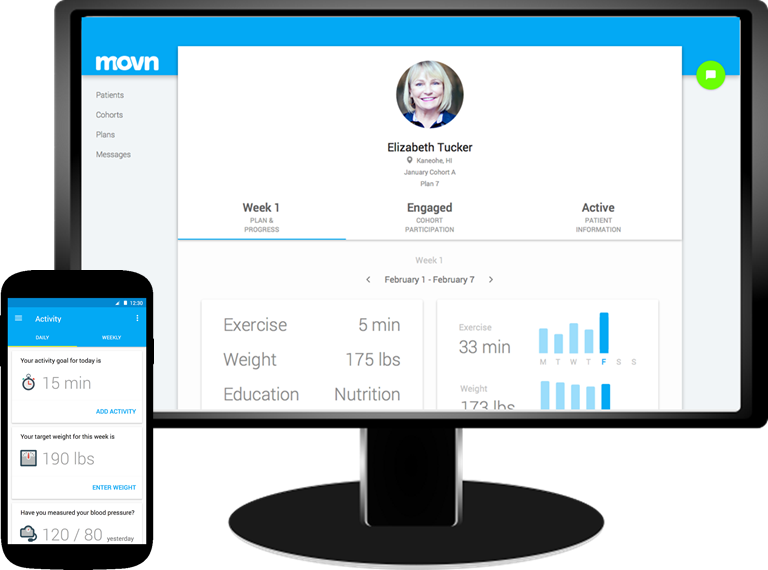 The 100-patient trial will test the MOVN app from Marina Del Rey, California-based Moving Analytics. Fifty patients will be part of the intervention group. They’ll be instructed to download the MOVN app on their personal device during their discharge appointment with a nurse. At that time, when the nurse gives patients rehabilitation goals like exercising a certain amount or maintaining a certain heart rate, those goals will also be entered into the app and corresponding physician dashboard. The nurse will also help the patient set up medication reminders. From there, the app will track patients’ movement through the phone’s built-in accelerometer, and track medication adherence and workouts through self-reporting. At three months and six months, the 50 patients using the app and the 50 patients receiving normal post-discharge care will be evaluated for clinical measures like BMI, blood pressure, resting heart rate and stress levels. They’ll also assess psycho-social outcomes like depression, self-assessment of health, and how in control patients feel of their health. The estimated completion date for the study is August 2017.